In his petition, the Chief Minister said that he came to know about the case and that the NBW was served on him only through the media and that no notices were issued to him beforehand. 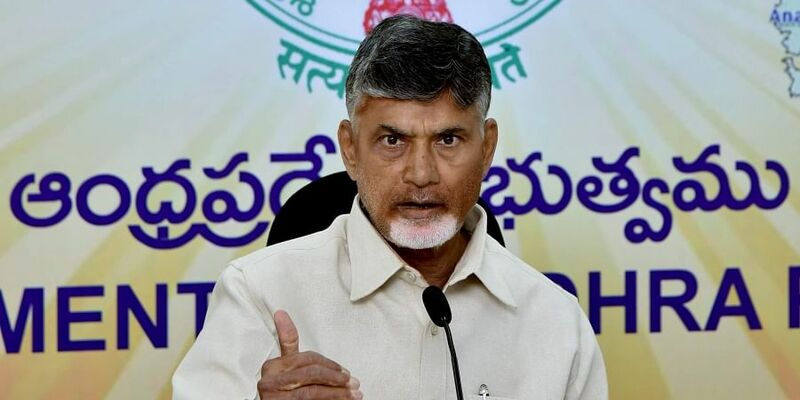 VIJAYAWADA: The recall petition filed against non-bailable warrant (NBW), issued by Dharmabad court in Maharashtra against Chief Minister N Chandrababu Naidu, came up for hearing on Friday. Supreme Court senior advocate Siddharth Luthra and advocate Subba Rao, on behalf of Naidu, had filed the recall petition in Dharmabad court two days ago. In his petition, the Chief Minister said that he came to know about the case and that the NBW was served on him only through the media and that no notices were issued to him beforehand. He said even after the chargesheet in the Babli case was registered on July 17, 2010, no notices were issued to him. Observing that the sections under which the case has been registered against him were not serious in nature, he said that case was eligible for recalling the NBW. He said going by certain verdicts of High Court, it was not necessary for the accused to be physically present during warrant recall. Urging them to consider all these aspects, he requested the court to recall the NBW issued against him on July 5, 2018. The judge, after considering the petition, allowed the recall petition against NBW and exempted the Chief Minister from appearing in the court case on October 15. However, it set aside the petition seeking a permanent waiver from attending the court in the case. Meanwhile, the 15 TDP leaders accused in the case have to attend the court on October 15. In 2010, Naidu, who was the leader of opposition then, had gone to Maharashtra along with some of his party leaders to protest against the Babli project. He had said the constructions within constructions of the project were illegal as the project will make north Telangana as a desert. He, along with others, were immediately arrested and shifted to Hyderabad. On July 17, 2010, a case was registered against him and 15 TDP leaders. On July 5, 2018, an NBW was issued against them and on September 15, the court directed the Dharmabad police to arrest the accused and produce them before it on September 21.